Uncharted 4 Has... Dialogue Options? Looks like Uncharted is taking a page from RPGs: branching dialogue options are now a thing. Unexpected! 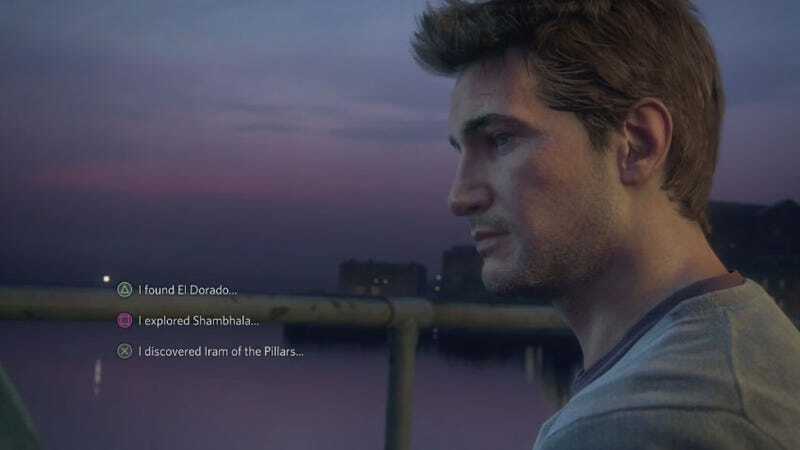 Here’s Nathan Drake, in a scene where he’s telling his brother about his old adventures. The player seems to have the choice of picking how the scene pans out.